This month we are eager to introduce another associate who has been a part of Kalas for over half of our 60-year history! Meet Kim Weachter. Kim currently works at Kalas Corporate in Denver, PA as one of our exceptional Bulk Account Managers and 2018 marks 33 years of service at Kalas for her! Kim has spent time working at each of our plants and become an expert in her role through her years of experience. In 1985 Kim was hired into her first role where she worked as a receptionist in Plant 1 and helped with invoicing. After working in that role for 2.5 years, she accepted her first position in Customer Service for our Engineered Cable Product Division (ECPD) located in Plant 2 at the time. When Kalas completed Plant 3, now our Corporate Office, in 1990, Customer Service departments for both Bulk Wire & ECPD relocated to Plant 1 where Kim then worked for several years. In 2006 Kalas grew once again and opened the Lancaster, PA plant. Kim’s role moved to working out of Lancaster which was a big change for her. She worked in that location until this past year when she accepted her current position in Bulk Wire Customer Service now located at Kalas Corporate. As one can imagine seeing how many times her office location moved, Kim has experienced a lot of change over her years at Kalas! Outside of relocating several times, Kim would say the largest change she witnessed during her 33 years was Kalas’ switch from manual processes to all computers. How far Kalas has come! 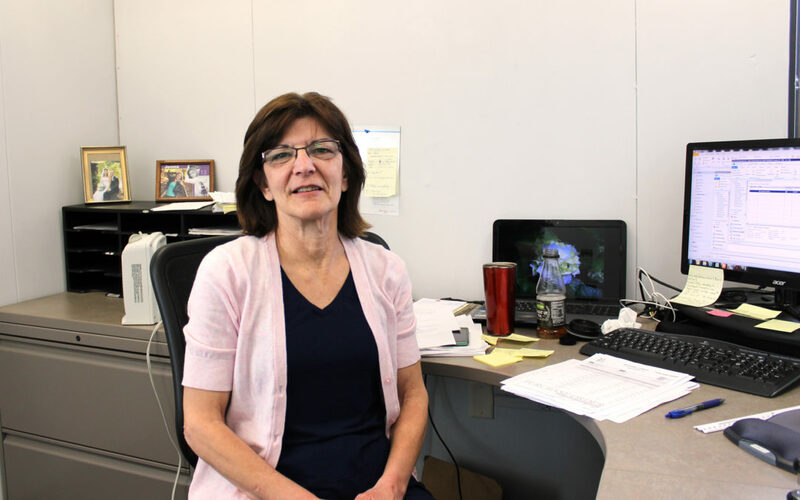 She recalls a great amount of Customer Service workdays were spent solely entering blueprints from the bill of materials and customer service information. Kim’s years of working in her position before the technology and ease of computers may be one of the many reasons she’s so great at what she does. She says some of her favorite memories over all of the years are from the Christmas parties and summer picnics Kalas hosted. “I really enjoyed Knoebel’s; spending time in the park and socializing/eating with coworkers in the pavilion.”, Kim reminisced. She also recalls the fun of Christmas parties and how for a few years in a row everyone received a special box of Lorah’s handmade candies! Overall Kim enjoys her role and all of her tasks at Kalas today. She says her favorite parts of work are the interaction with co-workers and customers. She will often choose to call customers over e-mailing them because she finds it builds better relationships. We are thankful to have such great representatives such as Kim on our Customer Service teams! Join us in Thanking Kim for her hard work, commitment and devotion to quality relationships over her 33 years here!